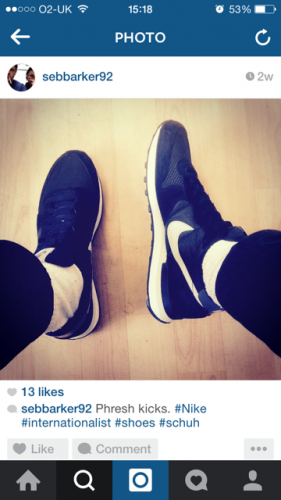 We asked you guys to #schuh or #schuhsday when uploading your pictures of your new schuh kicks, and boy did you answer in fine style. It’s sure been difficult, but here at HQ our panel of top judges (two content editors and a lead photographer – it’s practically the X Factor for shoes but we won’t say which one of us is Simon) picked our top 10 favourite Instagram uploads from our customers this February. Retro New Balance – always classic. 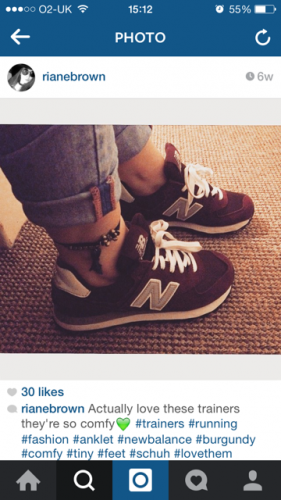 Pair these New Balance 574 Suede & Mesh with turned up jeans and a sweet anklet, and you’re on to a winner. Birkenstock sandals – check. Beautifully detailed carpet – check. 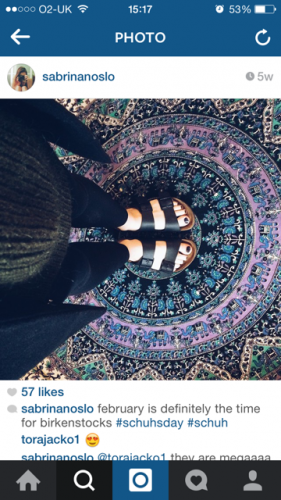 We love everything about this post – from the on trend chunky black Birkenstock Arizona to the pretty printed carpet and the chic dark nail polish. 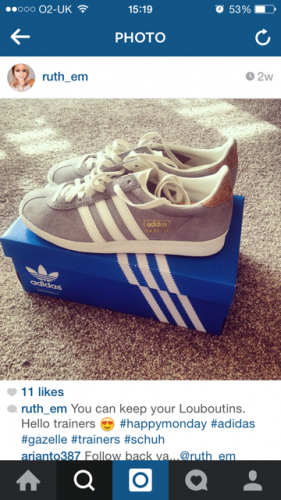 adidas Gazelle. A 3-stripe classic. The iconic adidas Gazelle OG Suede – what better platform for your sneaks than the famous 3-striped box? Dr Martens are looking all-white if you ask us. 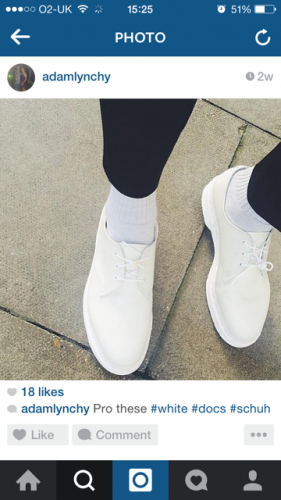 Monochrome magic comes in the form of the white leather Dr Martens 1461 Mono in this slick lifestyle shot. 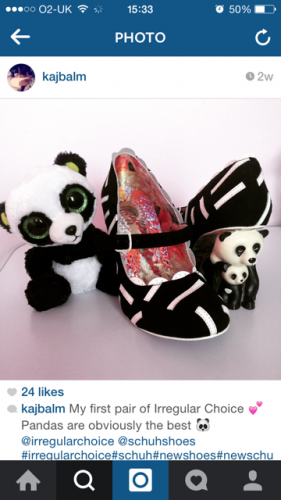 It’s Panda-monium with these adorable Irregular Choice. Accessorize your post with cute teddies – probably the only way you could make the Irregular Choice Yang Guang more exciting. Freaking me baby, driving me crazy. Sailing to the top of our wishlist, the Regatta driving shoes from schuh look great in this simple shot. 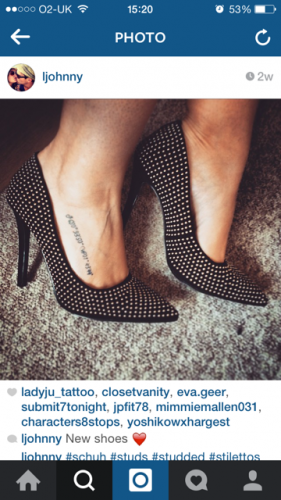 Looking like a real schuh Uptown girl, these studded points photograph perfectly. Good enough for The Breakfast Club, good enough for us. Nike Internationalists – retro running has never looked better. Squeaky clean and looking sleek. Is there anything better than box fresh trainers? 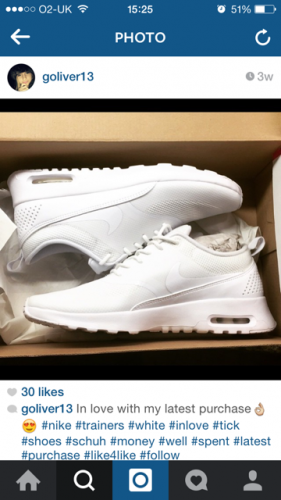 These mono white Nike Air Max Thea would suggest that no, there isn’t. Shop-a-holic? Who can blame you with kicks this cool. 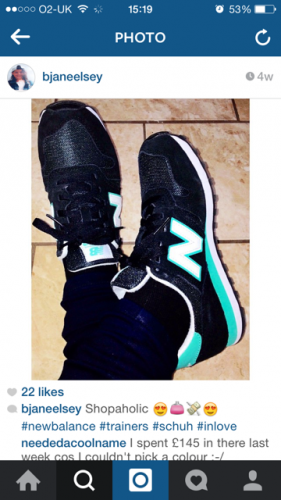 More New Balance to finish things off nicely – mint green and looking super fresh. Want to get noticed and have a chance of being featured on the blog in the March roundup? 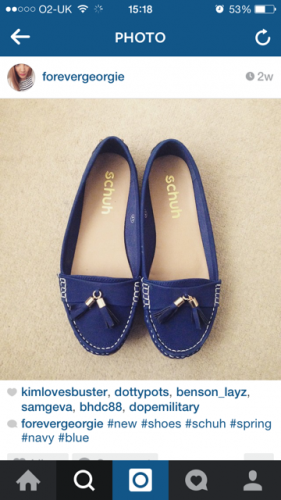 Make sure you #schuhsday and #schuh; find out all the important stuff here. Keep your posts looking as swish as can be too, so when Insta fame comes-a-calling, you’re ready – we’ve compiled our top tips for Instagram.